Why Lobbying Is Now Increasingly In The Shadows : It's All Politics Reversing a trend that dates back to the 1990s, the lobbying industry is becoming more secretive. And campaign money now looms ever larger as a critical element in the persuasion business. 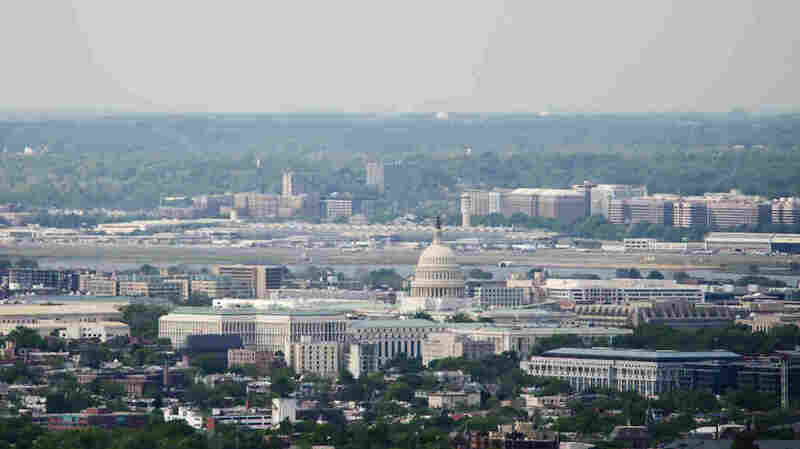 The lobbying industry in Washington is becoming more secretive. While ideological gridlock continues to immobilize Capitol Hill, another of Washington's institutions is morphing behind the scenes. Ever since Congress strengthened the lobbying disclosure laws in 1995, most lobbyists have routinely registered and filed their quarterly disclosures of clients, issues and fees. But in the past few years, lobbyists by the hundreds have been rethinking that whole thing. "It's largely a matter of choice that each of us makes, as to whether we comply with the law or not," says Tony Podesta, one of Washington's top lobbyists. He says whether you have to register depends on how much lobbying you do for each client. "The line is 20 percent of your time being spent in preparation for or in contacting government officials," he says. But lobbying these days isn't just trips to Capitol Hill. There's strategic planning, public relations, grassroots lobbying, TV ads — none of which needs to be revealed. "I could become an unregistered lobbyist with the flick of a pen," Podesta says, but he thinks registration and disclosure are good — even if they open him up to certain indignities. The big one: the Obama administration's open contempt for lobbyists. "If there's a registered lobbyist who has RSVP'd to an event, they call him and tell him not to come," Podesta says. Has that ever happened to him? "Last week," Podesta says, laughing. But insults from politicians are only one reason for lobbyists to stop disclosing. Wright Andrews, a lawyer-lobbyist on banking and finance legislation, says he's been lobbying for 40 years. And the trend in the past few years goes in one direction — "to move many things more into the shadows as far as lobbying itself goes." The result? "Many people are not registering, in my view, when they should be registering," he says. And that could be one reason that reported lobbying revenues have actually started dropping. Some other reasons: the recession and the fact that Congress just isn't moving that much legislation. Andrews and others interviewed for this story point to a second big change in lobbying. As Andrews says: "Contributions are having, in many cases, a disproportionate and, I think, improper influence." Lobbyists are expected to do fundraising for an incumbent's campaign. And now there's even bigger money involved. SuperPACs — those groups that collect unlimited and corporate contributions — are becoming tools for lobbying. A superPAC funded by the National Association of Realtors tried to help Republican Rep. Judy Biggert hang on to her Illinois district last fall. It wasn't successful, but Scott Reiter, the Realtors' vice president for political programs, says the superPAC is here to stay. "Looks like this is the new rules of the game," he says. "So, you know, Washington always adapts to whatever the rules are, to keep trying to have their voice heard." Tom Susman, a lobbyist for the American Bar Association who also works on lobbying ethics issues, says lobbyists are in a bind. They are dealing with a new breed of lawmakers — "members of Congress who, you know, spend all of their time worrying about re-election and raising money." And he says that when members of Congress start getting their own superPACs, "that's really when lobbyists are going to wake up and find the world has changed because the professional lobbyist will have to be a money person." That wakeup call could come in time for the 2014 midterm elections.